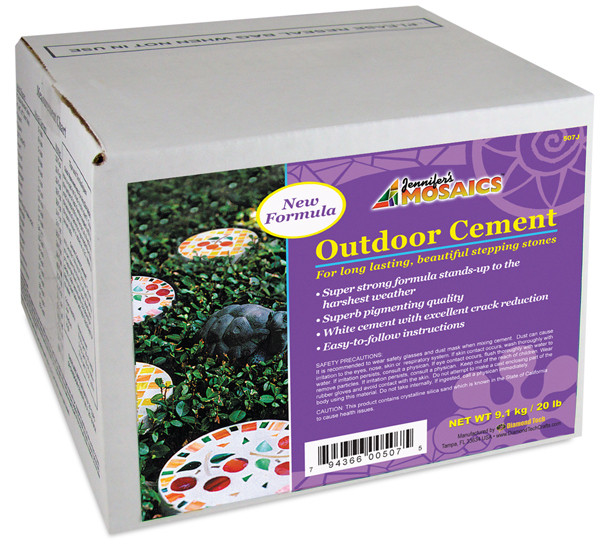 This Mosaic Stone Cement is ideal for use with outdoor projects such as mosaic stepping stones, tables, benches, and more. The super strong, crack-resistant formula stands up to the harshest weather. With a high pigment load, it dries to a smooth, porcelain white finish. Best of all, it requires no sealant.